Below you'll find a few quilting stencil patterns but don't stop there. Check out all the other free printable stencils on the right. Some of those might be just what you have in mind! The stencils on this page were designed for use in many ways. But I chose these because I think they lend themselves better to the art of quilting than many of the others. 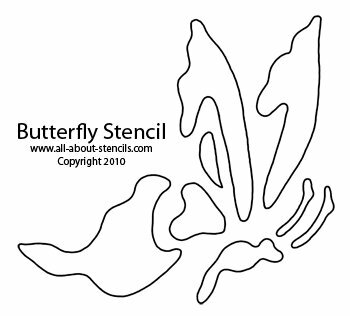 These are just a small sample of all the free stencils to print on this web site and you can find more for your hobby at Stencils Quilting. Enjoy! Quilting and the weaving of tapestries have recorded events throughout history. Today, it's an art form that still allows us to weave a tale with the images we love and the colors that inspire us. One of the first sewing project my Grandmother set me to do was to build a quilt. I still think of all the hours I spent sorting through the fabric remnants for each perfect square. I hope you find the perfect quilting stencil patterns here for your next project! 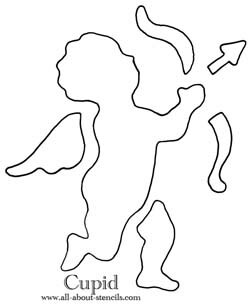 Of course, if you don’t find what you were looking for here please try our Free Stencils because there you’ll find many, many more. And best of all...they’re free. You may be wondering about how these free quilting stencil patterns are going to work since you will be printing them from your computer on plain paper. Well, I recommend that you cover both sides of the paper with a protective coating such as clear shelf liner before you cut out the stencil design. If you don’t have any clear shelf line handy, try running strips of clear wide packing tape over the entire page overlapping each edge slightly. The idea is that you want to be able to clean off your stencil after using. To position your stencil, place it in the middle of your border and make any necessary adjustments as you go around the corner. A little hairspray on the back of the stencil will make it temporarily sticky so you can mark the top easily. If you don't want to mark your quilting stencil patterns directly on your fabric then mark the stencil design on light weight tissue paper, tracing paper, newsprint or lightweight tear-away stabilizer. Pin this to your project and sew on the marked lines. Tear the paper or stabilizer away when done. This is also a good method to use if your fabric has a print, keeping markings from showing up. Use a stiff brush (a small head stencil brush) to remove chalk marks from the fabric. To print any of these quilting stencil patterns, just right click on the image and select print or save if you're on a PC or drag it into a document if you're on a MAC. You can change the size of the stencil on any copy machine. We have so many ways to use stencils scattered throughout this web site so keep browsing the pages and come back here for all your Stenciling Ideas. 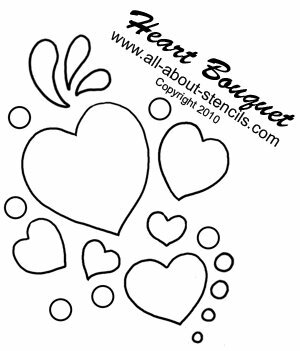 The free heart stencils and the Cupid stencil design will also make great cards for Valentines Day, Anniversaries or any other special occasion. For more ideas on using stencils to make cards go to Card Making where you'll get ideas on making Greeting Cards and gift tags. Don't miss the Free Stenciling Patterns for Quilting for a few more quilting stencil patterns that you can print and get your quilt started now! Enjoy! 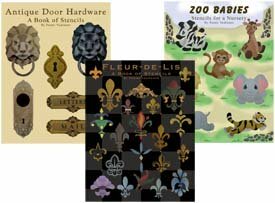 All of these stencils are single layer patterns but if you want to make a more detailed picture you should read Using Multi Layer Stencils to Create Appliques. And of course you can find the cute little Zebra Baby used for the project there free to print. 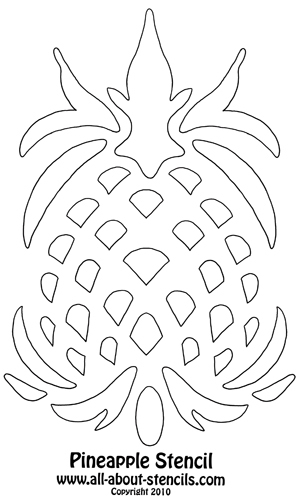 The pineapple is a symbol of Welcome and Friendship. There are so many ways you can create with Pineapple Stencils and I can just imagine the fun of picking out all the right fabrics to create this pattern as a center piece on a quilt! P.S. We are thrilled to introduce our selection of Printable Stencils. Instant gratification at its finest! You don't need a special printer - these designs are specially formatted to print from your home computer on standard letter sized paper. 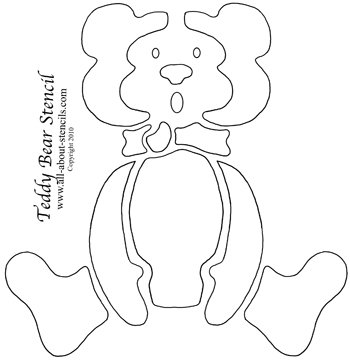 Once downloaded, you will have your complete stencil booklet with patterns and instructions. Just click, buy and print! Return to Home Page from Quilting Stencil Patterns.